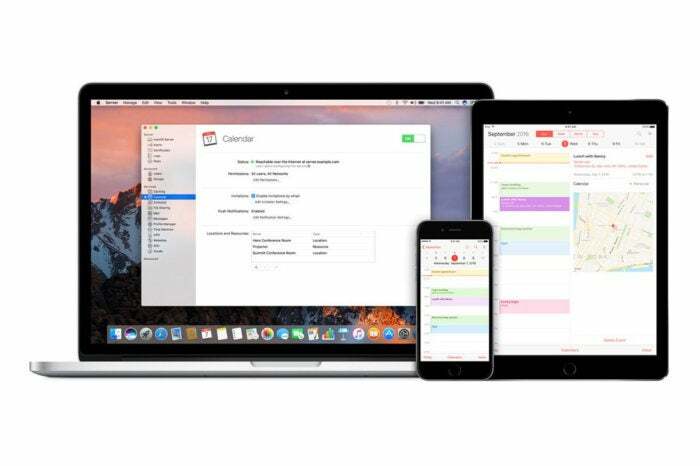 Make adjustments to get the most out of macOS Server's Calendar Service. Last week we took an initial look at setting up the Calendar service in macOS Server. This week we’ll look at some of the advanced features available within the Calendar service. The default scheduling behavior for resources is Accept If Free, Decline If Busy. Which makes perfect sense in most situations. But in some cases you may want to make someone responsible for managing access to resources, particularly if you have someone or some group responsible for the devices and rooms used for meetings. In order to use this feature effectively you’ll need to have Open Directory set up on your server, which is something we covered in our Primer on Profile Manager a few months ago. If you don’t already have Open Directory set up on your server you’ll want to head over to that primer to learn how to get Open Directory going. Once Open Directory is set up you’ll want to create a group to manage your AV resources. As to the “why” for a group? Putting users into a group for managing resources makes it easier to manage who will be notified when resource requests are made and will make sure you’re not the only one managing resource requests while vacationing in Barbados. Select Local Network Groups from the groups menu. Verify that Local Network Groups is unlocked for editing, if not, click the lock at the bottom of the Groups window and authenticate as the Directory Administrator. Create a new group named AV Room and click the OK button. Double-click the AV Room group to edit it. Open the Accounts Browser by pressing command-B or selecting Show Accounts Browser from the Server app’s Window menu. Drag any accounts you want to be a part of the AV Room group from the Accounts. Browser to the AV Room’s Members: window. You should not make the user you used last week to create an event a member of this group. Now that you have the AV Room group set up, let’s make them responsible for managing some resources. Select the Calendar service in the sidebar of the Server app and double-click one of the resources you created last week. The Delegate field should be blank and the Scheduling field should be set to Accept If Free, Decline If Busy. Click in the Delegate field and begin typing the name of the AV Group. Select the AV Group from the list of names that appears. Note: You can only add one group of individual user to this list. Click the Scheduling menu and select Require Delegate Approval from the menu. Open the Calendar menu and select Preferences. Select your delegate’s in the list of accounts. Click the account’s Delegation tab. Put checks in the box next to each of the resources you want to see in your calendar. Once you’ve added the second account and made the delegated resources visible, create a new calendar event using your updated resource. Create a new event using the calendar for a user who is not one of your delegates. If your updated resource was a location, add that location in the location field. If your updated resource was a physical resource such as a projector or iPad cart, add that resource as an Invitee. After a few minutes you should receive a push message in your delegate’s calendar requesting use of the resource. Click the schedule notification at the top of the Calendar app. Click the Accept button for the resource request. Once you accept the request all invitees for this event will see that the resource is now scheduled for use at your event. In addition to creating delegates for resources, you can also allow others to view and manage your calendar. Select the account you want to delegate access for. Begin typing the name of an Open Directory user you’ve created that you want to have access to your calendar. By default any user you add will have read access to your calendar, put a check in the Allow Write checkbox for anyone you want to be able to make changes to your calendar. As was the case with resources, every user you give access to your calendar will need to open their Calendar preferences, click the delegation tab, and put a check in the Show box in order to see your calendar.